Nance Van Winckel was born in Roanoke, Virginia in 1951 and has lived in Spokane, Washington since 1990. No Starling (University of Washington Press, 2007) is Nance’s fifth book of poetry. The others are Bad Girl, with Hawk (U. of Illinois Press, 1987), The Dirt (Miami U. Press, 1994), Beside Ourselves (Miami University Press, 2003), and After A Spell (Miami U. Press, 1998), which received the Washington State Governor’s Award for Poetry. She's received two National Endowment for the Arts Poetry Fellowships, a Pushcart Prize, Poetry Magazine’s Friends of Literature Award, two Washington State Artist Trust Awards, The Midland Authors Award, and awards from the Poetry Society of America. Her poems have appeared recently in Poetry, The American Poetry Review, the 2006 Pushcart Prize Anthology, The Gettysburg Review, Field, Volt, The Kenyon Review, The Massachusetts Review, and Ploughshares. 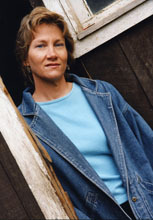 She's also published three books of short stories, most recently Curtain Creek Farm (Persea Books, 2000). Quake (U. of Missouri Press, 1998) received the 1998 Paterson Fiction Prize. Limited Lifetime Warranty appeared with the U. of Missouri Press in 1994. New stories appear in The Georgia Review, Colorado Review, and AGNI. 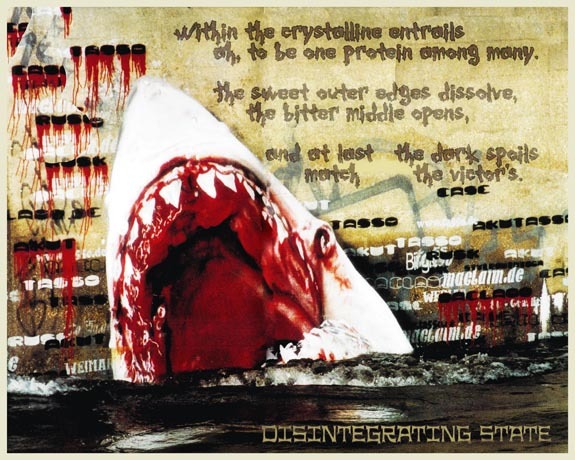 More of her visual poetry work can be found here. Nance taught at Lake Forest College in Illinois (1979-90) and currently teaches in the MFA in Writing programs at Eastern Washington University and Vermont College of Fine Arts. She was editor of the literary journal Willow Springs from 1990-96. She has served as a poet in residence at the University of Montana, U. of North Dakota, and Westminster College. She was the Stadler Poet in Residence in the spring of 09 at Bucknell University.